another simple project for the house. 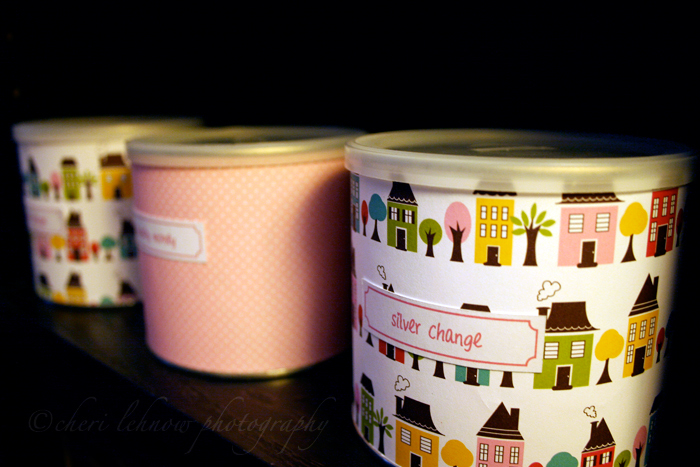 recycle some old tins from coffee or hot cocoa using coordinating scrapbook papers and double stick tape. a few easy measurements and cuts, apply tape and paper and five minutes later, voila! just make sure your can/tin is completely clean before starting, these papers will not hold up to washing, and no one wants to smell salsa every time they reach for some laundry money. i'm losing my blogging mind!